The Head Coach of a US school’s swimming team has praised Bermuda and the facilities on offer on the Island saying they “met his expectations 100 percent”. 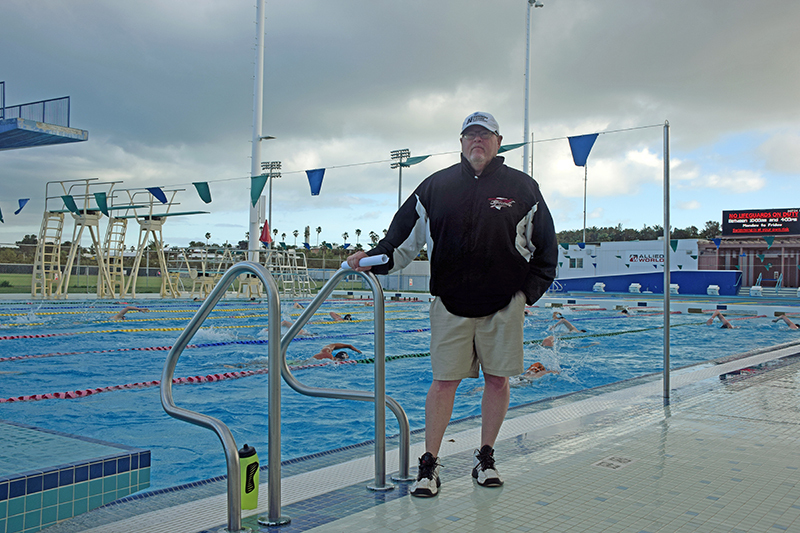 Garret Orr, the Head Swim Coach of Ramapo College of New Jersey, one of four US National Collegiate Athletic Association (NCAA) teams who are this week using the facilities at the National Sports Center, said his interest was sparked after reading about Indiana University coming to Bermuda two years ago to train. “We are always looking for different places and facilities to train and Bermuda, the Grotto Bay Hotel and the National Sports Centre have met our expectations 100 percent,” said Orr. As well as Ramapo College, swimmers from Howard University, Stevens Institute of Technology, and William Paterson University came to Bermuda as part of a sports tourism partnership between the Bermuda Tourism Authority and the NSC. Sean Tucker, the Chair of the NSC’s Board, said: “Our partnership with the BTA is working extremely well. Over the last few years we have had the pleasure of hosting many swim teams from the United States and Canada and the feedback from all of them has been enthusiastic and very encouraging.